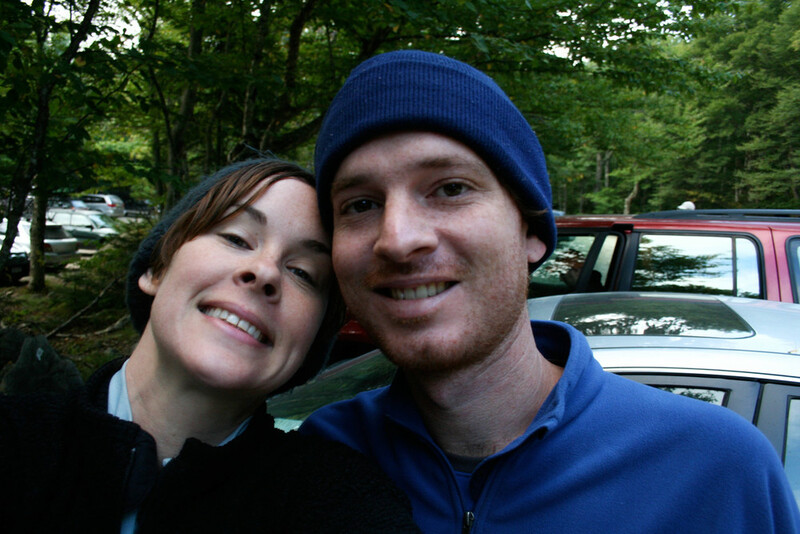 In 2007 I attempted a south bound thru-hike of the Appalachian Trail. 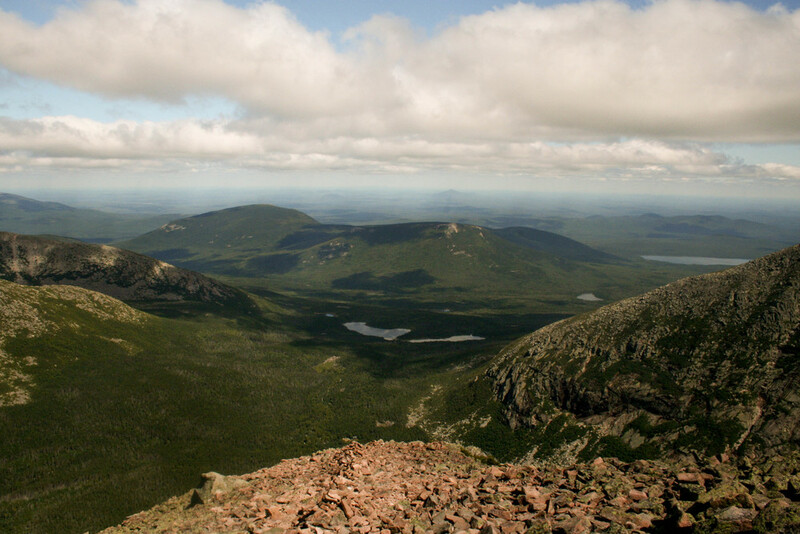 For me, the beginning of this hike was Mount Katahdin in Baxter State Park Maine. 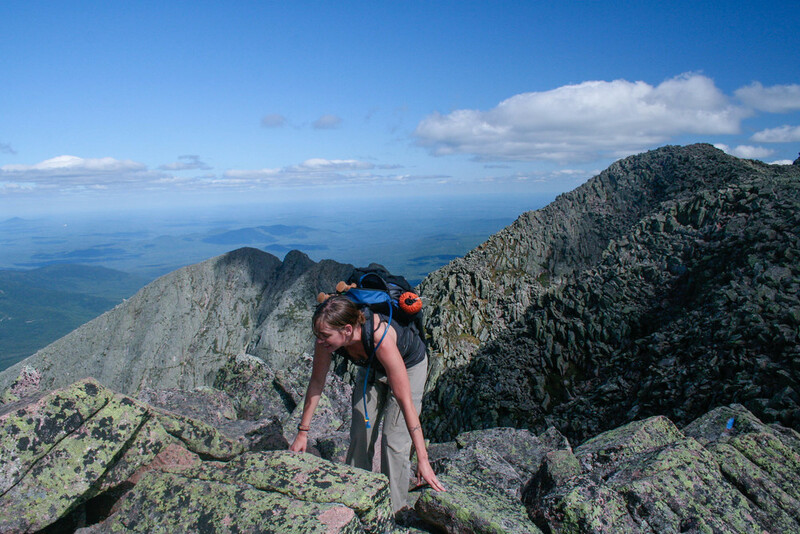 For all the north bound hikers that finish the Trail every year, hiking Katahdin is the culmination of over 2,000 miles and 4-6 months of hiking. Needless to say, a picture next to the sign at the summit is probably the most well know photos taken on the trail. Fast forward to me, somewhere in New Hampshire, my first memory card is full so I mail it home for Natasha to back-up on the computer. ALL of my pictures from Maine and New Hampshire are on this card. Can you guess what happens to my hundreds of pictures? Well of course the envelope breaks and they all get lost. So I've been wanting to get back up to Katahdin, not only because it is one the best, most challenging and most beautiful hikes I've ever done, but also because I wanted my picture next to the sign. So as I said, this is one of the most challenging hikes I've ever done. They tell you to plan on ten hours for a ten mile hike and they aren't kidding. We got up at 6:00 a.m. which was the earliest day for us yet. We didn't actually start hiking until about 7:30. 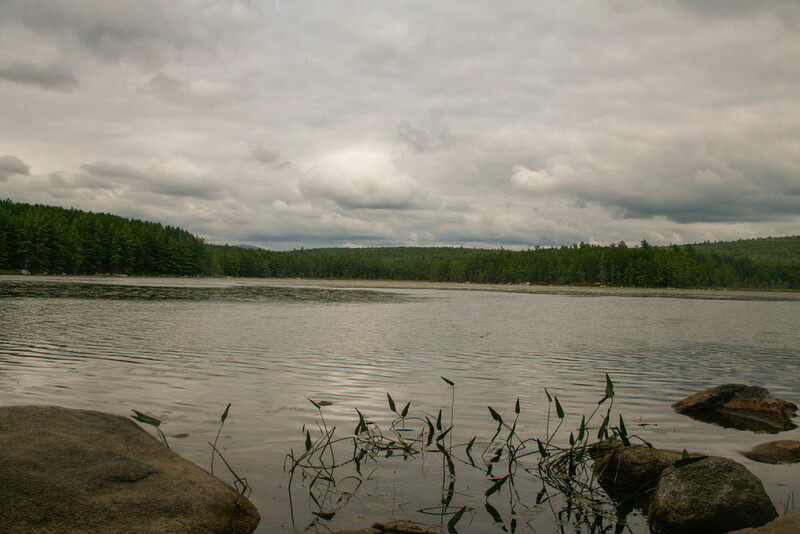 The trail starts with a gradual ascent to chimney pond, but this section is still not easy, it's never smooth, but more like a three mile rock hop. From chimney pond you get a great view of the south basin, and a slightly disconcerting view of the climb you have ahead of you. There are several routes you can take to the top and we chose the Cathedral trail. It's a two mile vertical, hand over hand, rock scramble. There are times you wish you had some ropes and climbing gear but the views are totally worth it. You cross three large rocky outcroppings called the cathedrals, hence the name of the trail. The Knifes Edge is a very narrow trail with steep drop-offs to either side that connects two of the peaks. I am a bit scared of heights, but not so badly that it has stopped me from doing things. We made it about 10 feet out on the trail and I had a very visceral reaction. My palms began to sweat and I became dizzy. The birds flying at eye level, even though they were 5000 feet off the ground only made me more disoriented. I was crawling more than walking. I kept going only by looking down at my feet and not over the edge. Two groups of hikers passed us and said that the trail only got worse and that it was only 2 feet wide at points, so like a huge weenie I turned around and now consider myself a failure at life.